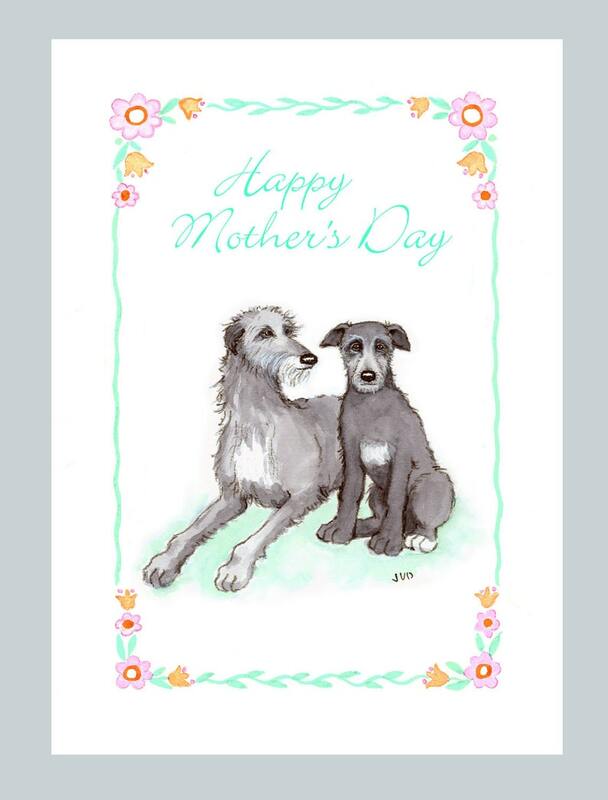 If your Mom loves Scottish Deerhounds or if You love Deerhounds this would be the card for you. Mother and puppy will help you celebrate Mother's Day this may! The 5"x7" card is printed on recycled paper and come with a white envelope. Inside reads - Thanks for Being You! My mom loved the card. She remarks on it often. Thanks so much. Great card! Super sweet! Fast shipping!